The season of festivals is something that we all look forward to, whether we are visiting a place or simply living there. When you think of traditional festivals and holidays, people normally think of places that are away from modern cities and towns. The perception is that the people in these places are too busy with their lives to enjoy the traditions and celebrations of old. However, Brisbane is a shining example of the fact that no matter how large or prosperous a city might be, it doesn’t get that far without knowing where it came from. Being in the southern hemisphere, Spring comes to Brisbane in and around August. That brings out Ekka, or the Royal Queensland Show, as well as the Riverfestival, held at the South Bank Parklands. Ekka is all about agriculture and along with the rides and animal parades, the emphasis on agricultural products and displays. The Riverfestival, held in September, is a week-long celebration dedicated to the Brisbane River. 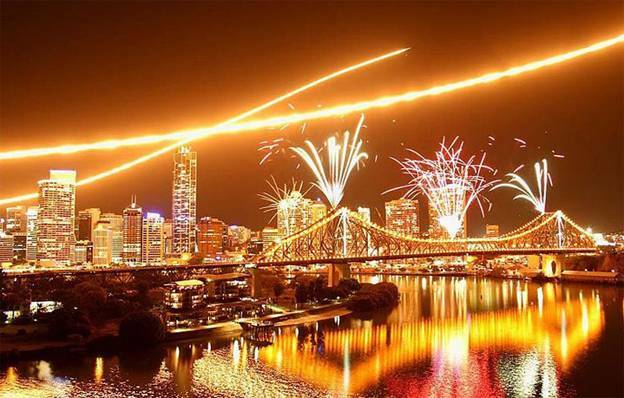 The festival coincides with the Brisbane Festival, an arts extravaganza, but the reason why people remember it is for the Riverfire sequence. A 30-minute long display of pyrotechnics, this part of the festival gets people down from all over the country, and the world. During late winter and early spring, the Brisbane International Film Festival also comes to town. Domestic and international film makers flock to the city as movies, seminars and awards rule the roost. 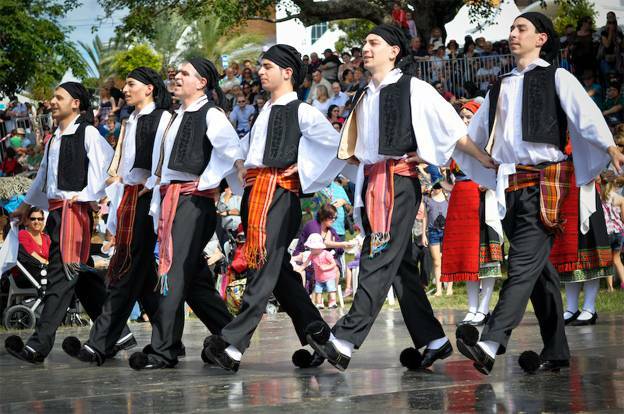 Winter is also the time when the Greeks take to the stage with the Paniyiri festival. Set centrally amidst the hustle-bustle of Brisbane, Musgrave Park is host this festival during the first May weekend. Musgrave Park is also host to the National Aboriginal and Islander Day of Celebration Park Day, the Medieval Fayre as well as the Lesbian and Gay Brisbane Pride Festival Fair Day. The Valley Fiesta is a celebration of art and youth culture, organized to promote the Fortitude Valley area. This three-day festival brings together live music, stalls, whole lot of food, drinks and entertainment from the nearby area. Finally, you have the Bridge to Brisbane fun run, a 10 km run that has more than 50,000 people, from all parts of the world, coming in to enjoy nothing but a simple day with a whole lot of fun, fanfare and a bit of running along the way. There are plenty of other festivals that happen all ‘round the year. While the city always gets together to celebrate the regular festival seasons, these are some of the unique events that give Brisbane character and identity. If you are looking to visit Brisbane, are moving home to the city or have simply been living there, then these attractions are something that you really need to see. The whole idea of being part of a culture is to promote the values, celebrations and characteristics that it stands for. These festivals are a way for a lot of people to get in touch with their roots, teach their children about their culture and generally be a part of something that’s much bigger than their lives. A designer by profession, Alfredo the author of the “Festival Season in Queensland Australia” is a Brazilian who has grown up with the culture of festivals and celebration. He’s spent almost three years in graphic design, in Brisbane and has visited many other places around the world, taking in the local culture and using it as an inspiration in his work.